I realized tonight I haven't posted in three weeks. It's finals time at the university where I teach and that just brings out a whole lot of crazy in all of us. My favorite part of this end of the year has been renaming an award after long-time faculty member Judith A. Hakola. We now have the Judith A. Hakola Award in Professional & Technical Communication. 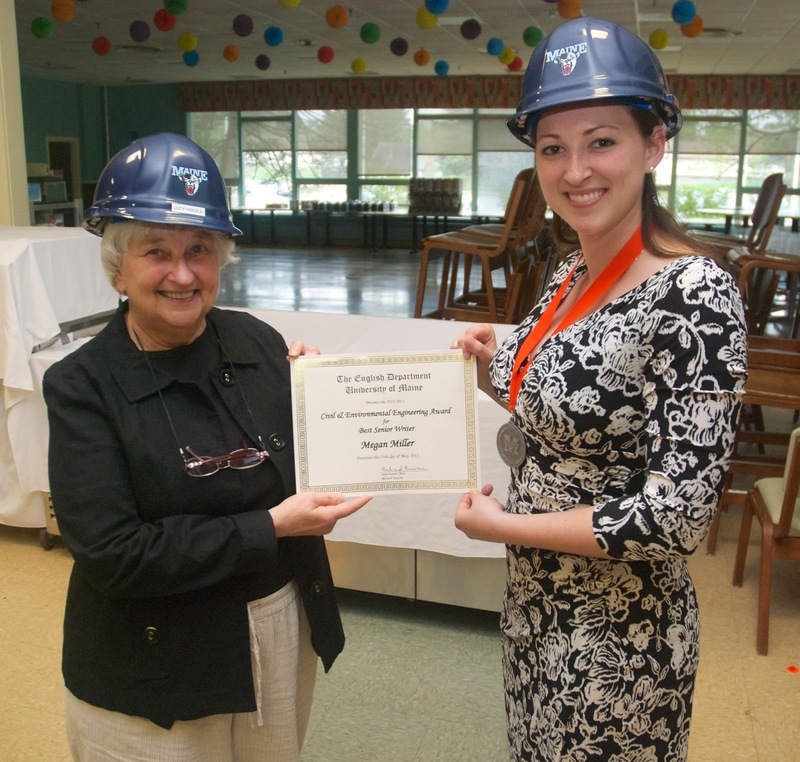 Engineering commemorated the renaming of the award by presenting Judy with her own hard hat. Judy A. Hakola and Megan Miller, Graduating Civil Engineer at the University of Maine.